If you are looking for a pet for your home, and want to avoid getting something that will cause household odor, popular pets that are low on odors include chinchillas, rats, hermit crabs, and fish. If you already have a pet at home that is causing unpleasant odors, it’s best to educate yourself on the most effective methods of removing pet odor. 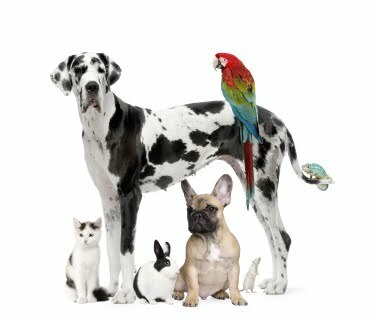 The four most common offenders are dogs, cats, ferrets and rabbits, and according to the 2007/2008 U.S Pet Owners Survey , more than 171 million American households have one or more of these pets. Dogs – Cocker spaniels, shar peis, basset hounds, and bloodhounds have a reputation for being among the smelliest of dogs. While different breeds of dogs can be smellier than others, all dogs, especially outdoor dogs, can develop an unpleasant smell from playing, eating, rolling, getting wet, or relieving themselves. •Spray your dog with a mixture of EM•1® and water at a rate of 1 ounce EM•1® per quart of water. Spray till moist. If odor still persists consult a veterinarian, as this can signal a skin infection or other serious disease. Cats– Domestic cats are descendants of desert dwelling cats, so their bodies are well adapted to avoid dehydration- meaning that their urine is highly concentrated. While cats themselves do not smell as strongly as dogs (due to different behaviors and grooming habits), cat urine has a pungent unmistakable odor. Ferrets– Ferrets belong to the same family as skunks, which means that in the wild they can have a seriously strong odor. Ferrets sold in pet stores almost always have these glands at the rear removed so they cannot spray, but the glands behind their ears remain, and can emit a musky smell. Rabbits–Rabbits produce a kind of two types of feces. Their “night feces” are called cecotropes, and are known for a potent smell and sticky texture. Cecotropes can easily become stuck in a rabbit’s fur and cause the rabbit to have the same strong odor. • Spray cage with a solution of EM•1® and water (1:32) a couple times per week. Spraying the metal on the cages is good as the antioxidants in the EM•1® also help prevent rust. Great article Eric, keep up the good work.